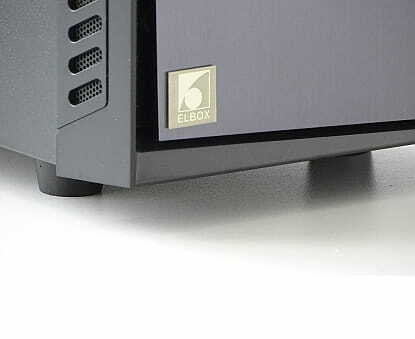 Elbox offers a new tower system for Amiga 1200 computers. It's prepared for installation of the Mediator PCI 1200TX, Mediator PCI 1200SX, Mediator PCI 1200LT4, Mediator PCI 1200, Mediator PCI 1200LT2 and G-REX 1200 busboards. It black, made of steel, comes with 350W power supply, PC/Amiga keyboard interface, USB connectors, two cooling fans, and has space for a total of eight internal drives. Amiga on TV: zdf.info "Die Amiga Story"
German TV station "zdf.info" has broadcast a special edition of Anthony and Nicola Caulfield's Amiga documentary "From Bedrooms To Billions". You can still watch it via their "Mediathek" video archive. RedPill is a new game creator and engine for the Amiga, written in BlitzBasic (AmiBlitz2). It's currently at version 0.5.0, and features smooth scrolling, AGA support, physics (bouncing, friction, ...), collision detection, and many more details. "AMIGA alive 01 - Amiga 500 keyboard membrane repair" is out. We're doing a little repair job to the A500's keyboard membrane, and show you some of the individual parts the keyboard is made of. Hope you enjoy it - comments welcome! Rick Dangerous Enhanced - RTG! Classic Amiga game "Rick Dangerous" gets an enhanced remake. Probably the most important enhancement: retargetable graphics. That means you can choose a screenmode suitable for your modern monitor, and it also means that you can run "Rick Dangerous" via the Vampire accelerator's HDMI output! There are more enhancements, and it's still under development, so watch the news about when it's out. The first next-gen Amiga game: CannonBall - for Vampire boards only! "CannonBall" is the enhanced OutRun engine. As we all know, the original OutRun arcade game port to the Amiga wasn't a great one at all. Now ModernVintageGamer has ported the CannonBall engine to the Amiga. But it needs a lot of horsepower. We're talking A LOT OF horsepower. In fact it requires such a huge lot of horsepower that we're talking Vampire-boards only, and even these may have performance issues with certain tracks in the game...! In recent times, a lot of new hardware developments for retro computers are popping up. Among these are a remarkable number of different accelerators for the Amiga 500, 600, and 1200 - here's an overview of what's currently available and/or in development. Please note that information provided here may not be 100% complete. Read about the boards' details on the websites provided, or get in contact with the developers, if in doubt. Have fun choosing your next-gen Amiga accelerator! Individual Computers brings us this accelerator board for the Amiga 500, with some interesting features - like e.g. built in Kickstart ROMs, AmigaOS 3.1 installer software, and a connector for A1200 accelerators. Individual Computers' low-budget accelerator for the Amiga 1200, sells for only about 120 Euros. Individual Computers' 68030 accelerators are still available. Stephen Leary's open-source DIY accelerators for the Amiga 500. Documentation on how to build the 68020 and 68030 CPU versions (TF520, TF530) are already available via GitHub and YouTube (see links below), and just recently Stephen has begun developing the 68040 version (TF540). Accelerator board for the Amiga 500, from Poland. There's also a Wicher 2000 accelerator board for the Amiga 2000 planned. Homebrew accelerator for the Amiga 500 by blogspot/YouTube user "m68k". Not much is known about this one, especially if it'll be sold to the public or made open-source one day. FPGA-based accelerators - and much more - for the Amiga 500 and 600. Amiga 1200 version is in development. CPU performance far beyond that of a 68060, SAGA graphics with Full-HD resolution, HDMI output, 128MB RAM, MicroSD card slot, IDE controller (Vampire 500 only). The ultimate boost in performance! "Making Music On The Amiga + Full Amiga Album"
Shot97 posted this article about making music on the Amiga, using Music-X and a MIDI keyboard. He liked the setup so much, he created an album of Amiga music called "Riding with the Amiga". "Riding With The Amiga - An Amiga Music Album By Shot97"
iBrowse 2.5 - do you browse? Amiga-native webbrowser iBrowse proves to be alive! Amitopia has published some up-to-date articles about Amiga gaming. And here's another one giving an overview of 2016's Amiga game releases - proving that the Amiga game development scene is... alive! If you haven't seen it yet, you should definitely watch this highly interesting video of Igor "Majsta" Majstorovic talking about and demonstrating the brand new Vampire 500 V2 accelerator board for the Amiga 500. In the video, there is a huge load of detailed information about the board itself, and an equally huge load of information about the development process. The presentation is dense, and at no point boring. Switch on YouTube's subtitles for an english translation. Personally, I think this video might be the most important piece of information the Amiga community has produced within probably the last 20 years. Vampire 500 v2 Amiga FPGA Accelerator - World premiere!